“Mr. President! Mr. President!” What a great way to end the week and the month! 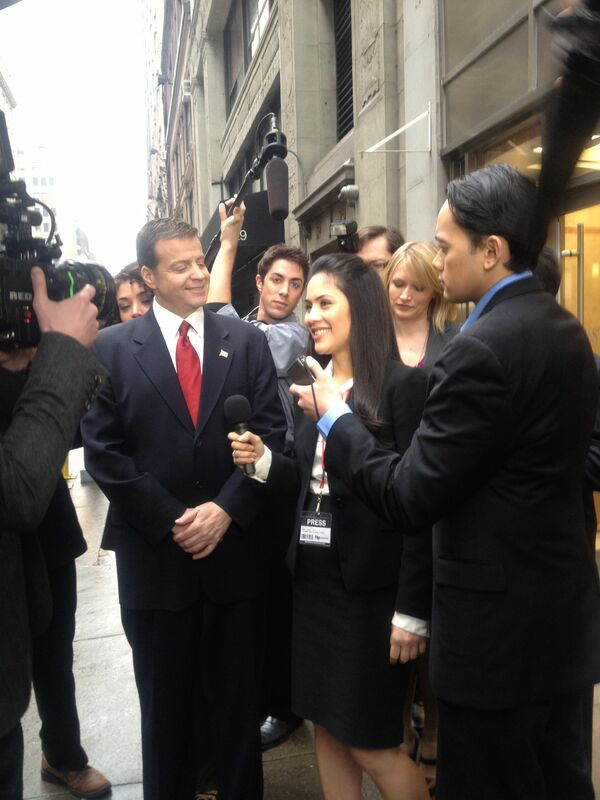 I was cast as the Reporter in the upcoming Verizon FIOS commercial airing soon on the web. The day was short & sweet and a fun one at that! With the “news crew” behind me, camera’s flashing, people stopping on the street to catch a glimpse of all the commotion and traffic halting for the media, it really felt like we were live on CNN dishing out the latest news. My many thanks to Nicolas Karlson, Melissa Gelernter, the wonderful crew and cast for kicking the weekend off with a bang! Even last month ended with wonderful send-off casting me in an eMoney Advisor shoot in Philadelphia. What a nice little rendezvous. Everyone was so hospitable to us. I had the fortune of being cast as the wife to a banker husband who was looking for more than just financial planning for retirement, but lifelong planning and guidance with the Living Balance Sheet. Voila! I just recently came into a copy of the spot and an interactive link for all of you who weren’t able to head over to Zappos during the Christmas Holiday Season. It’s pretty fun… it reminds me of The Daily Prophet, the fictitious newspaper in the Harry Potter series.